If you’re looking for the best used trucks for your towing and payload needs near Breckenridge, then make sure to check out the used Ford trucks for sale right now at Dakota Chrysler Center in Wahpeton. Choose from a variety of used Ford pickup trucks, including popular models like the Ford F-150 and F-250, including models with robust 4WD systems and V8 engine specs, as well as advanced SYNC® infotainment systems and well-appointed cabins. Check out all your Ford truck options at our dealership today, or give us a call at (701) 403-8016 with any questions. 2013 FORD F-150 LARIAT!! SUNROOF/AUTO START!! LOADED!! 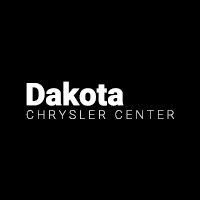 Find More Used Trucks for Sale Near Sisseton at Dakota Chrysler Center! Check out all the used Ford trucks and other pre-owned pickups for sale right now at Dakota Chrysler Center in Wahpeton. We’re your source for affordable and high-quality used vehicles, including a number of used vehicle specials. Use our online payment calculator to estimate your monthly payments, and count on our service center near Fergus Falls for everything from oil changes to tire repair. Stop in and see us Monday through Saturday to take a test drive or find out more!